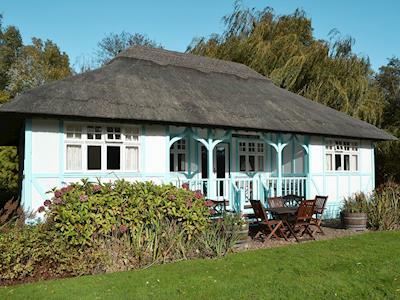 ﻿ Holiday cottages in East of England, self-catering houses to rent in UK. Experience the true magic of timeless England on an enjoyable and competitively priced cottage holiday. We offer holiday accommodation - houses, apartments, chalets and lodges, in many of the region’s historic counties, including Suffolk and Norfolk. The East of England has an interesting history and unspoiled coastline; much of the area is agricultural, offering beautiful scenery to visitors, as well as a rich maritime past that can be explored in Felixstowe and Ipswich. Countryside walks, sandy beaches and coastal paths, along with delicious local food from village pubs and tea shops feature highly in most holidays to this part of UK. The gorgeous Chiltern Hills in Bedfordshire are recognised as an Area of Outstanding Natural Beauty. Holiday time is precious - here are some amazing houses for your to rent sleeping 2 - 22 guest for a weekend, short break or weekly rental. 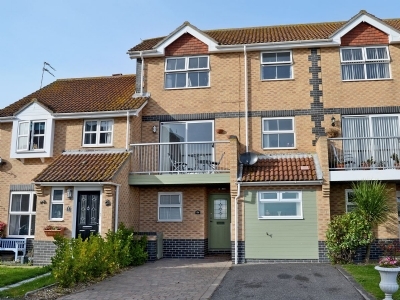 Holiday home to let in Bradwell, near Gorleston with 6 bedrooms, sleeps 12. Pets welcome. Enclosed Garden / Patio, Golf nearby, Hot Tubs, Short Breaks All Year, Swimming Pool, Swimming Pool - Outdoor, Swimming Pool - Private, Hot Tubs - Private. This vast converted barn is finished in contemporary style and offers the ideal location for family getaways. 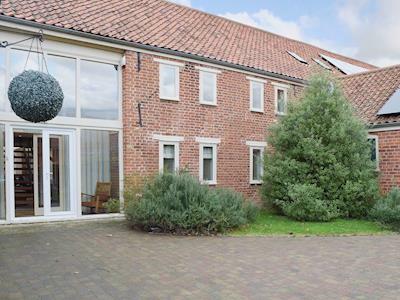 Big house in Swardeston, near Mulbarton with 4 bedrooms, sleeps 8. Pets welcome. Enclosed Garden / Patio, Golf nearby, Pub within 1 mile, Hot Tubs, Hot Tubs - Private. Meadowsweet is in an ideal location for exploring the Norfolk Broads and the pretty coastal villages on the north Norfolk coast. Dog friendly holiday cottage in Morley St Peter, near Attleborough with 3 bedrooms, sleeps 4. Enclosed Garden / Patio. Enjoy a wealth of outdoor activities from this property, including walking, cycling, fishing and a Go Ape park. Luxury holiday cottage in Hoveton, near Wroxham, Norwich with 3 bedrooms, sleeps 6. Golf nearby, Pub within 1 mile. 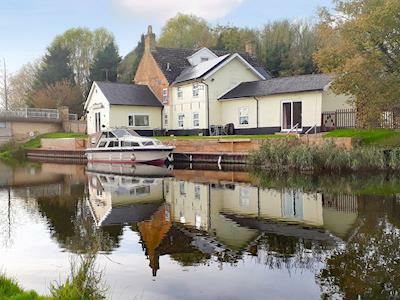 This property has a veranda overlooking the River Bure, where guests can enjoy an abundance of wildlife and staggering views. Last minute self catering holiday in Uggeshall, near Southwold with 2 bedrooms, sleeps 4. 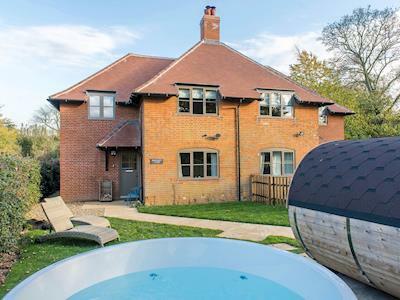 Pub within 1 mile, Hot Tubs, Winter Short Breaks, Hot Tubs - Private. 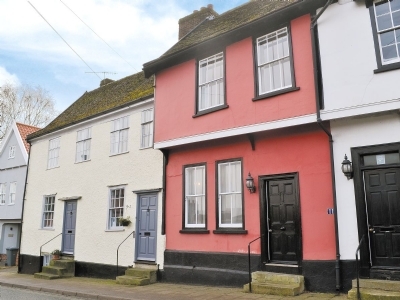 This traditional cottage is light and airy and is perfect for exploring the beautiful Suffolk Heritage coasline. Dog friendly holiday cottage in Lavenham with 3 bedrooms, sleeps 6. Enclosed Garden / Patio, Pub within 1 mile, Short Breaks All Year. 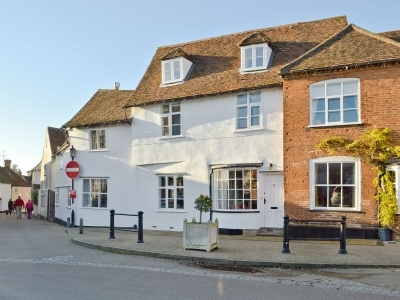 Full of charm and character with exposed beams and brickwork, this quiet house right on a historic market place is an idyllic home from which to explore this beautiful area. 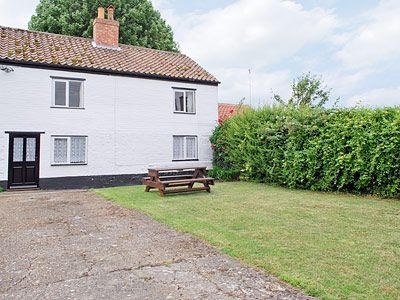 Last minute dog friendly short break in Hilgay, near Downham Market with 2 bedrooms, sleeps 3. Golf nearby, Pub within 1 mile, Short Breaks All Year. Watch the world go by from the large picture window or enjoy a waterside barbecue in a beautiful location close to many attractions. Pet friendly accommodation in Hockwold, near Thetford with 2 bedrooms, sleeps 4. Pub within 1 mile, Short Breaks All Year. A 17th Century property full of charm and character in the ideal location for exploring both Norfolk and Suffolk. 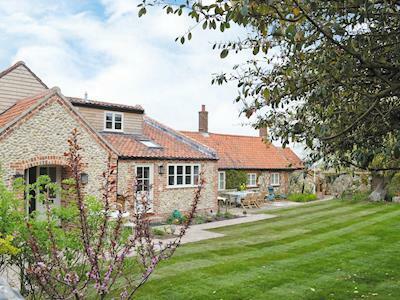 Country house rental in Brancaster with 5 bedrooms, sleeps 10. Pets welcome. Golf nearby, Pub within 1 mile. From this property, magnificent views of the marsh with constant changing tidal patterns of the sea can be enjoyed. Large cottage in Clacton-on-Sea with 4 bedrooms, sleeps 8. Pets welcome. Enclosed Garden / Patio, Golf nearby, Pub within 1 mile. Pet friendly holiday in Stalham Staite, near Sea Palling with 2 bedrooms, sleeps 4. Winter Short Breaks. 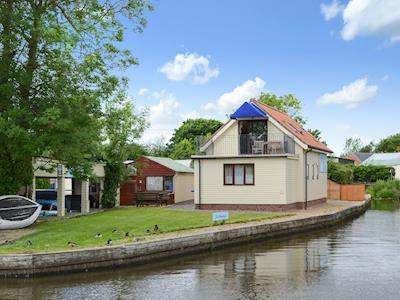 Enjoying a riverside location on a boatyard with water-based activities available on your doorstep and the North Norfolk coast within 4 miles. Dog friendly weekend break in Woodbridge with 3 bedrooms, sleeps 5. Enclosed Garden / Patio, Golf nearby, Pub within 1 mile, Short Breaks All Year. Boasting a woodburner and a games room, this grade II listed cottage is within walking distance of shops, pubs and restaurants. 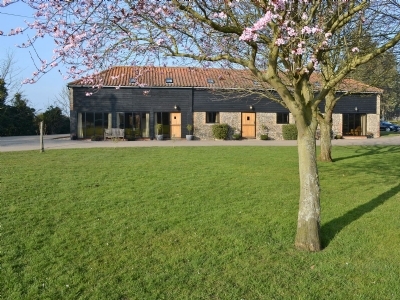 Rural holiday houses close to sandy beaches and English market towns. Whether you prefer to stay far off the beaten track, or in the centre of an ancient market town, or overlooking miles of sandy beaches or countryside, we’ll have the right holiday cottage for you to create that trip of a lifetime. The portfolio includes self-catering holiday cottages suitable for families, couples, and groups of friends - many welcoming pets to stay too. The East of England offers an extremely varied tapestry of counties; from the rolling fields of Suffolk and Norfolk (with canals, fishing villages and sandy beaches) to landmark-rich Hertfordshire, there’s a great deal to keep you interested and engaged. 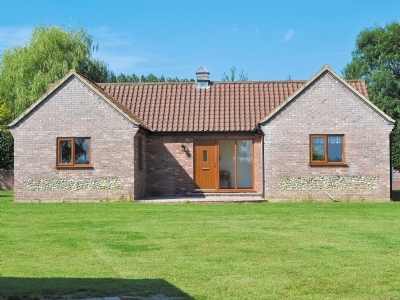 For more information on properties, view details from our selection above of the best holiday cottages or filter further for specific areas - Essex, Norfolk, Suffolk, Lincolnshire or Cambridgeshire. Want help planning your trip to explore the East of England? - our tourist guides are full of inspiration and we would love you to send in any holiday photos that would be useful for other travelers.